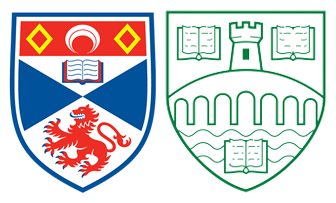 The St Andrews and Stirling Programme (SASP) offers a variety of different graduate degrees together with the Conversion Diploma. The standard route into SASP is via one of our five MLitt programmes, which all consist of two semesters of coursework and a summer dissertation. Satisfactory performance in the MLitt can lead to the PhD or MPhil. The PhD is (typically) a three-year research degree. Applicants with a degree equivalent to the SASP MLitt can be admitted directly to the PhD. The SASP Conversion Diploma is designed for applicants with a good undergraduate degree that is not in philosophy. It consists of a year of undergraduate philosophy courses. Satisfactory performance in the conversion diploma leads to admission to the MLitt or MPhil. All degrees are awarded jointly by the Universities of St Andrews and Stirling. You can study part-time for all SASP qualifications. SASP also welcomes visits from post-doctoral scholars, and graduate students registered for degrees at other universities, who wish to work for a limited period with particular members of staff. Please get in touch with a member of staff.